So, I have a little secret. A few of my friends know about this about me, but I don’t think they know how serious it is. They mention it from time to time, but they don’t realize it has turned into an obsession. I’m addicted to Zumba. Wow, it’s so nice to have that off my chest! I can proudly scream it from the rooftops now. 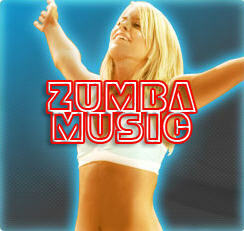 I am addicted to Zumba, and I don’t care who knows it. For those of you who don’t know what Zumba is, let me explain. 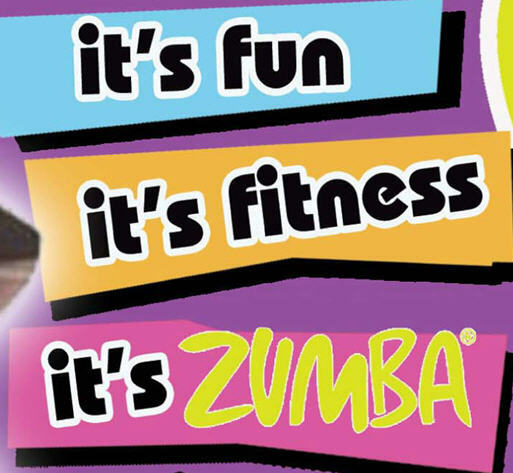 Zumba is an exhilarating, effective, easy-to-follow, Latin-inspired, calorie-burning dance fitness-party that’s moving millions of people toward joy and health. In real-people terms, it is like spending an hour at the best club in your life sans booze. Now that you know what Zumba is, let’s start the countdown of my favorite things about Zumba … which will ultimately make you sign up to try it yourself! 1. As I mentioned above, your one-hour class is literally like stepping in the most happening club of your life, sans all the negative stuff like the smoky atmosphere, obnoxious men trying to hit on you and the spilled drinks that always seem to land on your perfect party heels. 2. You get to super silly! In fact, the sillier, the better. There are no bosses or professionals critique your moves. There is no judgment. There is only fun and laughter in this space. I often feel like a kid again after a few dances! When was the last time you danced like no one was watching? Now go ahead and show us the Roger Rabbit! 3. This fitness activity comes with the most amazing wardrobe. I mean, you don’t have to buy the Zumba clothes, but I highly recommend it. First, I swear I have way more swagger to my moves when I’m wearing the Zumba-approved gear. That could be just in my head, but I think I look like a backup dancer to 50 Cent. Plus, the pants dry really quickly so you don’t drive home with a wet bottom. That’s important to me! 4. 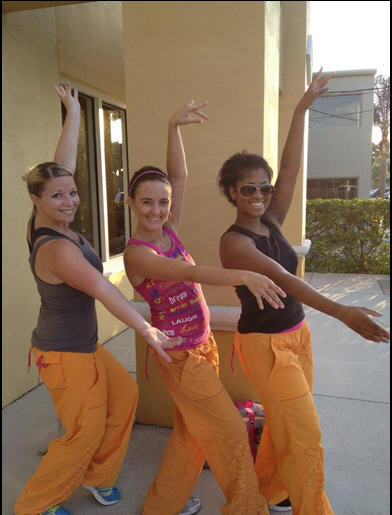 I have made the best friends in Zumba … friends that are now very dear to my heart. We call each other the Fly Girls, because us gals get in front of the whole class for at least dance per class in “In Living Color” style. We text each other, making sure we are all going to be at class each night, and we all support each other throughout the week. These girls have the best hearts, and I’m lucky that they let me crash class each week. 5. The music is amazing! While my class does a few Latin-based dances, my favorite ones are the hip-hop versions. We also do some flashback songs like “Grease: You’re the One that I Want” and “Let’s Hear it for the Boys.” You just can’t help smiling and singing along during that kind of music. It really makes the hour just fly right by. 6. I have the best Zumba instructor on the planet! And I’m not even exaggerating in the slightest. Tiffany has the warmest heart and biggest energy in the little package I have ever seen. She cares about all the girls who come to class, she gives us challenges to take our fun to the next level and she makes me want to do a GREAT job in class. Tiffany inspires me to give it my all, and she is the reason that I love Zumba as much as I do! Thank you, Tiffany. 7. 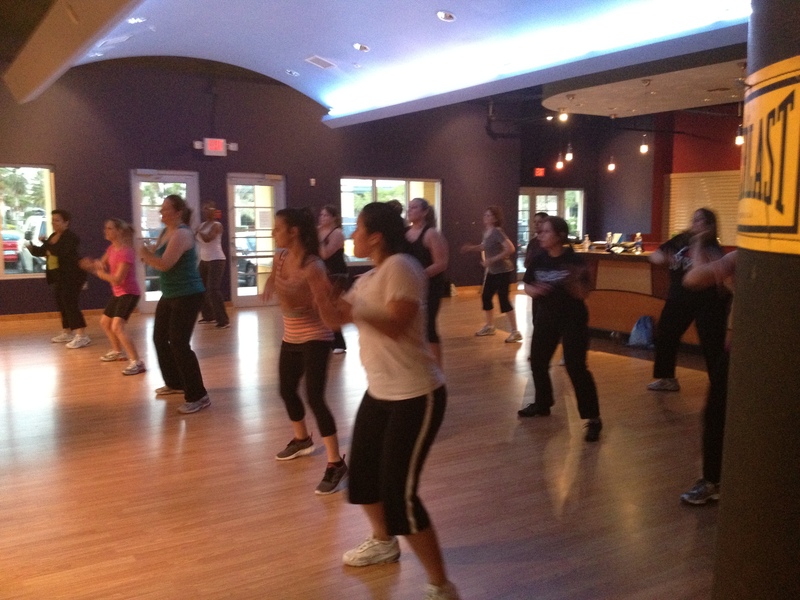 Zumba is a great stress relief for me. After a long day with a million things on my mind, and another million on my plate for the next day, I can’t wait to take one hour and just let loose. It is one hour that I get to act crazy and silly, and there are days that I certainly need that. 8. Lastly, let’s talk about the results. I have certainly noticed a different in my own body, and several people from class have also noticed results. I get to dance and lose weight? Now that’s a no brainer! And that my feet are tapping from the Zumba songs playing in my head, I can’t wait to get back to class at My Way Fitness in Oldsmar. I’ll be counting down to Tuesday, when I get to see my Fly Girls again. 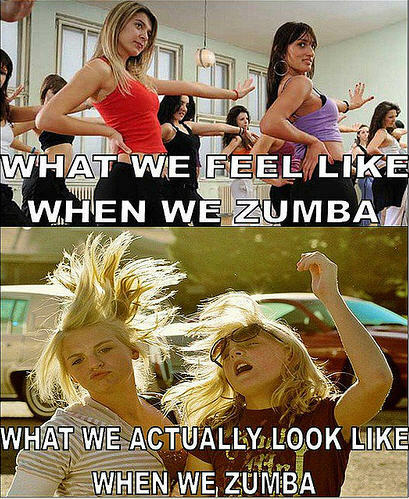 And that’s life in a nutshell … working out is great for you, but Zumba is good for my heart too.